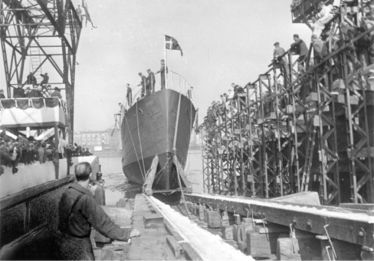 The Torpedo Boat KRIEGER was launched from the Naval Dock Yard on May 4, 1946, exactly one year after the German capitulation in Denmark. 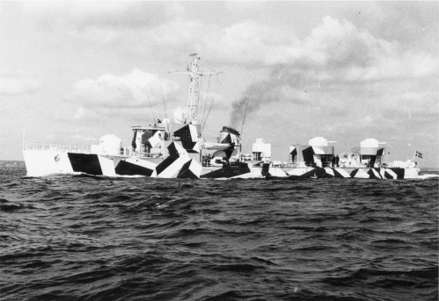 The Torpedo Boat HAMMER is here seen painted in camouflage colors. 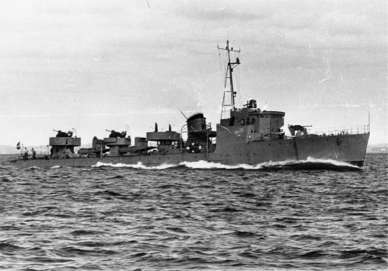 This trial only lasted a short while, and the ship was again painted standard gray.